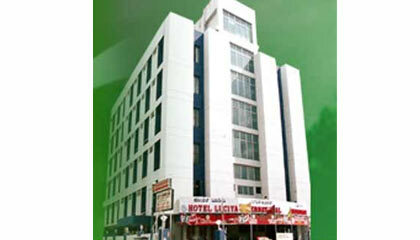 Hotel Luciya International is located within close proximity to M.G. Road, Brigade Road, Commercial Street and city market. Ideally positioned at a convenient location of the city, Hotel Luciya International is a perfect place to stay and unwind in Bangalore. Offering warm traditional Indian hospitality and immaculate services, the hotel exceeds to the expectations of its valuable guests. Carefully planned while keeping every small need of the visitors in mind, the hotel offers optimum comfort and warmth. The hotel presents a great blend of pleasing decor and modern conveniences, where excellence can be enjoyed in every aspect. It offers the guests comfortable accommodation with a homely environment and personalized services. The hotel also features well-equipped hall for hosting small family gathering or business meetings. Converting each ordinary stay into memorable one, Hotel Luciya International has become a favored destination for all. 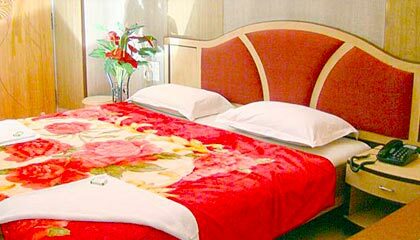 The hotel features an array of well-furnished rooms, classified as Standard Rooms, Executive Rooms and Studio Rooms. The rooms are prepared with modern amenities and services. The Restaurant: An eatery that serves mouth-watering Indian & Chinese delicacies.